White Rose Fuel Services was established in 1970. We are a local independent and family-run supplier and have been delivering to agricultural businesses in the Selby area for over 40 years. The experience and expertise we have gained over the years has provided us with the ability to make fuss-free deliveries by drivers who really know the area. We recognise the importance of receiving your agricultural oil deliveries when you need them and we offer a full range of fuels to suit your individual needs, keeping the cogs turning and your machinery running. White Rose Fuel Services has a reputation for getting your fuel to you when you need it – a no-fuss service. Whether you require kerosene, gas oil (also known as tractor diesel, red diesel and 35 sec) or white diesel (also known as derv or ULSD), we offer competitive prices and on-time deliveries. Our drivers will take the utmost of care when delivering to your premises. To obtain a competitive quote, please call us on 01757 270 447 and speak to Nicky in our local office, or alternatively enter your details in our quick enquiry box. There is now up to 7% biofuel in the gas oil supply chain – bio gas oil differs from regular gas oil as it only has a 6 month life span and should not be stored for longer than this. It is vital you keep your tank clear of water and it is important that you also check your tank frequently for signs of any dirt, mould etc. If your usage is low, you may wish to consider ordering your gas oil more frequently and in smaller volumes than previously. Whilst we are happy to supply your fuel in various quantities to suit your individual requirements, the minimum volume that can be delivered legally by a road tanker is 500 litres due to Weights and Measures regulations. If your gas oil is likely to be left for long periods of time, we would recommend you use an anti-bug additive to control microbiological contamination, which is added to your tank as your delivery is made. For more information on red diesel and fuel additives click here. 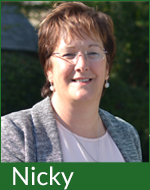 To find out more call Nicky in our local office on 01757 270 447 and she will be happy to answer any queries you may have.